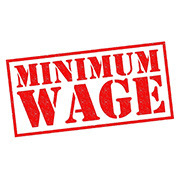 Government has increased minimum wage to Rs 10,000 at the national level, taking into consideration the Consumer Price Index and Dearness Allowance. This was based on the verdict of the Supreme Court. This increase of minimum wage has been linked to pension and bonus.